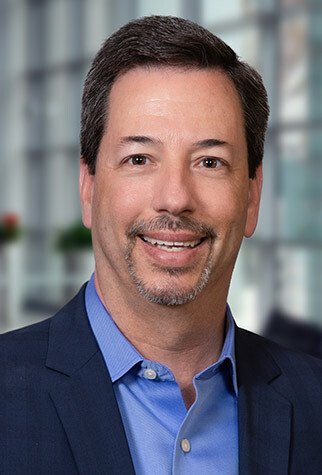 Steve Levitt, SPS Shareholder, represents a driving force behind the Company’s thriving Business Management practice. In addition, Steve offers clients an exceptional technical knowledge in taxation and business planning. His clients include high net-worth individuals and closely-held businesses. Steve’s training and experience, gained while working with both national and small business clients, delivers a unique perspective to SPS. Steve and his team of business management experts tackle every aspect of clients’ financial needs, whether selling a house, tax planning, paying day-to-day bills, or coordinating estate planning. The road to his current leadership position began with a love of America’s favorite pastime. When Steve was eight years old and collecting baseball cards, he came into the possession of a Nolan Ryan rookie card. He can’t say exactly how it happened, but the transaction was likely the result of a trade for some gum or a player none of us would remember anyway. The card is one of the most notable of his collection. If you ask him about all the things he has saved and organized since childhood, Steve will tell you that it is a testimony to the organized thinking that has always been a fundamental part of who he is. And the love of baseball continued on. Coaching his two sons in Little League baseball for years was memorable and rewarding. Now, simply enjoying the game and its strategies is a link to his past. Business management is the ideal niche for Steve, who was initially drawn to accounting because he liked the way things fit together like a puzzle. Each piece of a person’s financial life has its own characteristics, but all part of the whole. This holistic view makes Steve a natural in his role of business advisor. Steve’s view began to take shape after graduating from UC Santa Barbara with honors. He then took a position with an international accounting firm, where he learned about discipline and professionalism. Steve began his career on the audit side and then moved into taxation to better understand big-picture issues and work closely with clients. He joined SPS in 1996 after looking for an opportunity where he could be more hands on, work on both the business and personal financial needs of the client, and still balance his commitment to family. Now that his three kids are grown, Steve enjoys spending time with family and friends, caring for his rescue dogs, and travelling during his off time. His recent Mediterranean cruise and trip to Europe with his family and a close circle of friends was a highlight.